December 3, 2016, Saturday. Finally the day has arrived! 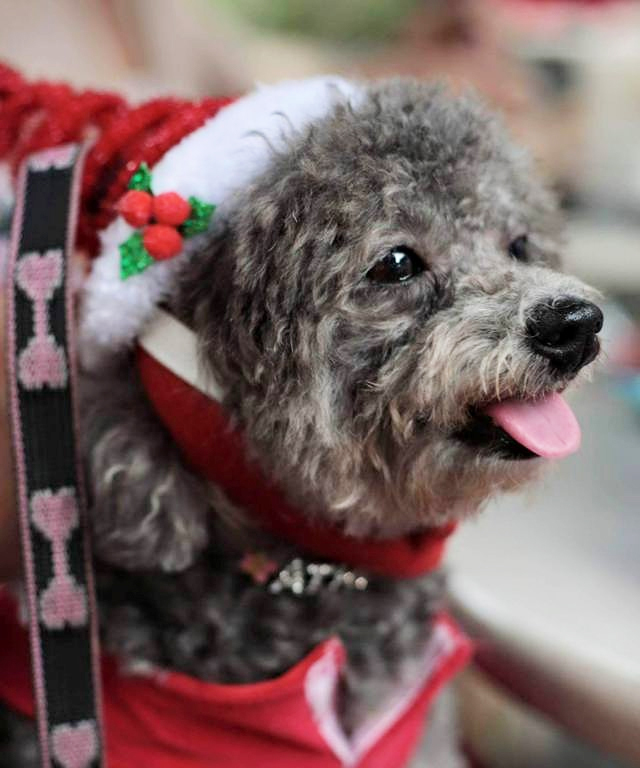 It's time for the Pet Fashion and Trends Holiday Pageant organized by Baby Moon for Pets. After frenzied preparations of 9 dogs (6 to be entered in the costume contest), off we went to Alabang Town Center. But alas! Traffic was bad. In my head I prayed "Lord I prepped and looked forward to this for weeks. Please don't let it all be in vain." Thankfully, we made it before show time! We even got a quick parking slot and the perfect spot to sit and wait for the program to start. Got some coffee and pastries for my pet nannies to enjoy while we put on finishing accessories and props for the dogs and handlers. Saw familiar faces, pawrents and pawbabies alike. I managed to exchange smiles, nods, waves and quick hellos with dog group friends, our lovely pet photographer Che Vienes and my indefatiguable couturier Sanchia de Asis. The slight drizzle did not dampen the spirits of everyone in the ATC Town Plaza. Shortly, the pageant began. The pets and their owners were all so adorably adorned in Christmas themed outfits. Dogs & cats of different breeds wore Santa suits, Christmas colored gowns and other Yuletide costumes. Then it was our turn to take the stage. My 3 pet nannies and I scurried and scrambled on and off stage to ramp and photograph 6 dogs one after the other. Cooper in his Santa's Elves Alabaster Snow and Bushy Evergreen ensemble. Athena as Mrs. Claus and Achilles as Ebenezer Scrooge. Mocha was Olive the Other Reindeer, Dacia was the Christmas Angel and Darcy was Father Christmas. For the second set of the evening, the designers' showcase, Athena wore a yellow feathered dress with a floral printed green, yellow and black poufy skirt with a matching flowery fascinator from Petnannies Petshop Avant Garde Collection. 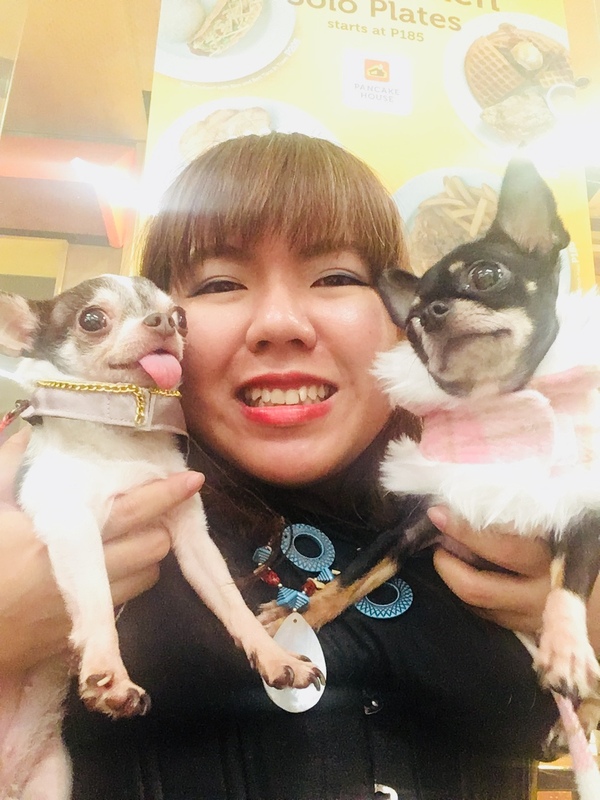 Other PAWsome furbabies and their equally PAWbulous furents worked the catwalk and sashayed down the runway with gowns, dresses and outfits from Maita Rue's Baby Moon for Pets and Petnannies Petshop by Sanchia de Asis. On the whole, it was a fantabulous experience! Especially since we won Best Holiday Costume (Cooper), Pet/Eco Friendliest Costume (Darcy) and Holiday e-Card Runner Up (furmom – me). It was also Athena's debut as a pet pawshion model.